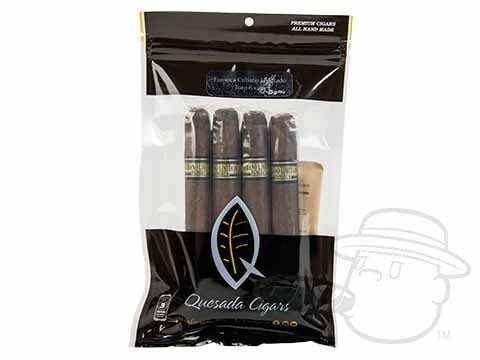 An 88-rated full flavored creation from master blender Manuel Quesada, Fonseca Cubano Limitado combines a Honduran Habano wrapper, Nicaraguan ligero binder, and hearty Dominican long-fillers for a bold smoke with classic "Cuban-esque" character. Smooth and rich with a touch of sweetness, these slow-burning sticks are sure to become a mainstay in your humidor. Sealed Pack of four Fonseca Cubano Limitado Toro cigars.